With all the skin troubles I have had I started taking a second look at body/hair care products, soaps, deodorants, and general cleaners. I read a few other blogs about toxins and cancer-causing chemicals in these products and made the decision to just stop using them altogether. While SCD doesn’t dictate what we put on the outside, I have often read “don’t put something on your skin that you wouldn’t eat” and decided to try it that way. I couldn’t be happier! I don’t miss anything I have thrown away and honestly I feel less stressed with not having to shop for each individual cleaner or soap that I used to think I needed. The biggest change was my scalp after giving up shampoo and conditioner. It definitely doesn’t itch as much. 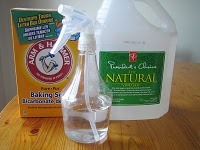 I still have some all natural general purpose cleaner that my boyfriend tends to prefer but we don’t use it much. We usually only use that for scrubbing down the shower and toilet. We definitely steer clear of any chemical cleansers that promise to be ‘antibacterial’. The best source I have found for learning how to clean without chemicals is the book Green Housekeeping by Ellen Sandbeck. I will be updating this post with new things as I figure out what works best. Vinegar works for just about every hard surface. Some say dilute it with equal parts water. I just put it in a spray bottle and spray liberally on surfaces. Wipe clean with a wet cloth. The smell dissipates quickly when it dries. Baking soda can be used to scrub tougher dirtier spots. Either mix it with a bit of water or sprinkle it over a wet surface then wipe with a cloth. To clean your shower: spray the walls and any spot that shows signs of scum or mold with vinegar 20 mins before you plan to shower. Bring an old margarine tub with baking soda, add water until it forms a paste, and use that with a wet sponge to scrub walls clean. You shouldn’t need to scrub much! Cleaning the stovetop: I have a flat ceramic stovetop that I bought second hand because I was so fed up with spilling stuff in the coils of my old stove (not to mention the uneven surfaces were hard to work with!). I quickly realized a ceramic top is not that easy to clean and no matter how much kitchen cleaner I used it wouldn’t get rid of cacked on food. The only thing that came close was the magic erasers (I won’t mention the brand) but I knew they were full of chemicals. Enter baking Soda. This is surprisingly good for cleaning the ceramic cook top and anything that needs scrubbing. I usually spray some vinegar first then sprinkle the baking soda. Using a wet cloth, I give a few wipes and the baking soda seems to do the scrubbing for me. I will never buy anything else to clean a cook top again, this is by far the best method! 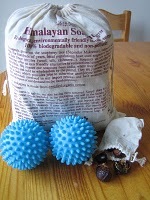 Soap nuts– These are fabulous and I’m quite surprised how long a bag of these has lasted me. It doesn’t take a lot per load to end up with clean clothes. I use mine for 2 loads each since I’m using cold water. I just pop a small handful of soap nuts into the little cloth bag and toss into the washing machine. Note that soap nuts can be composted too. Laundry/dryer balls– I was very surprised these worked so well. In the winters here it gets very dry and everything turns to static. I had absolutely no problems with static using these. In fact they may have even been better than dryer sheets. Plus your clothes don’t come out smelling like medicine. I stopped using shampoo cold turkey and although I did get some build up at first, it really wasn’t that bad. In fact no one even noticed. Once I found a good rountine with natural food-based solutions, I was pretty happy. Egg– couldn’t be simpler. Crack an egg on your head and massage through. Rinse thoroughly. This will get rid of any buildup and greasiness. Apple Cider Vinegar– I use this as a rinse. About 1 tbsp vinegar to 1 cup of water. Pour through your hair and leave it on a few minutes. Some leave this in their hair, but I rinse it out thoroughly. Note that I use regular vinegar for cleaning the house, but apple cider vinegar for my hair. I think most regular vinegars are from corn, and I’m trying to avoid corn on my skin. 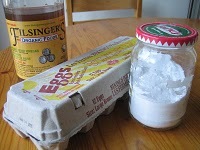 Baking Soda– This helps with grease a bit (egg works better) and helps with smells too. I mix some with water until pasty then apply to hair and massage in. Rinse thoroughly. Coconut oil– I use this as a makeup remover and moisturizer. It works wonders for removing mascara without burning your eyes. Plus it leaves the skin around your eyes really soft. I have also heard of men using coconut oil in place of shaving cream and aftershave. Bar of soap– I buy a regular old bar of soap made from emu oil. It’s expensive but lasts a long time. I prefer not to use vegetable based ones simply because I don’t know if it came from wheat. 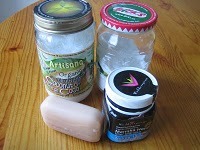 I highly recommend soaps from animal fats or goat milk. I use this in the shower as well as all bathrooms and kitchen in the house for washing hands. While I wouldn’t eat the bar of soap, it is made from edible ingredients. 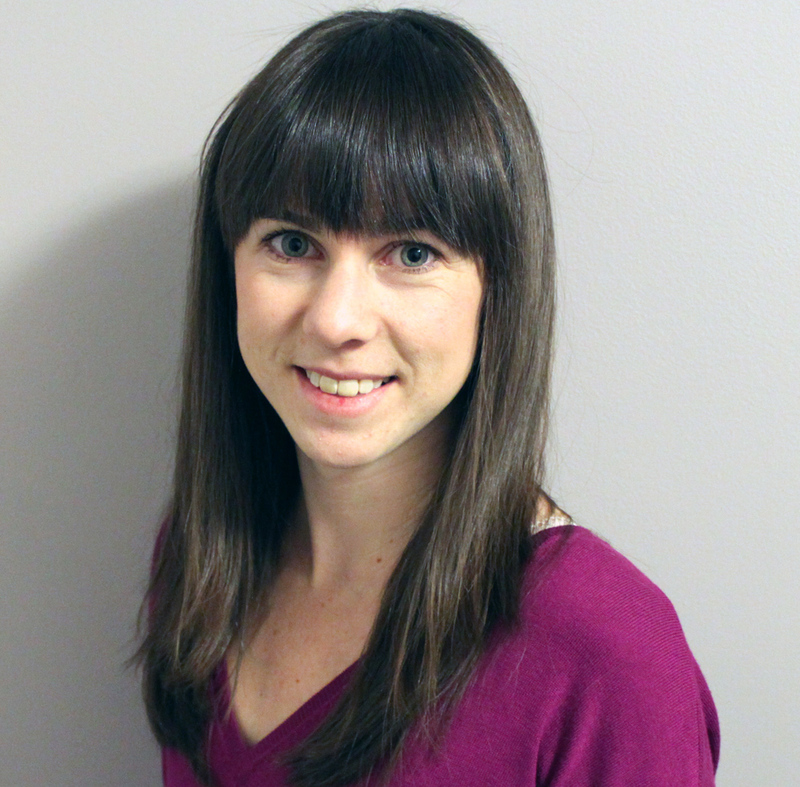 Coconut oil– Again, this can be used as an overall moisturizer. It also works well as a deodorant! Manuka Honey– This works great for scrapes, burns and cuts. It is antibacterial and helps the healing process. I’m participating in Kitchen Stewardship’s Spring Cleaning Carnival, Get the Antibacterials Out. I use baking soda very successfully as a deodorant, too. First I rub a little coconut oil between my hands and then onto my underarms, then I dust my hands with baking soda, and pat onto the coconut oil (which helps it stick). Amazing. Never a whiff of BO, no matter what I wear or what activity I engage in. It has changed my life! Ok I have heard that a lot but never tried it. Now I'm going to! 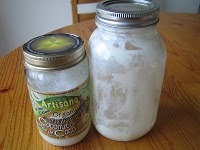 Isn't it amazing what you can do with baking soda, vinegar and coconut oil? Can you provide a brand name or a link to the dryer balls you use? I use the Eco brand laundry balls. I would also recommend Nellie's laundry balls. I saw those after I already bought mine. Nellie's uses more eco-friendly materials I believe. I can't believe I forgot to include yogurt in this list! Great as a face mask, now added. Wow – I can tell you've put a lot of thought and effort into this! Good for you – and I'm glad it's had a postitive impact on your health, too! Sarah, I tried the baking soda and wow is it ever amazing! Had to go 3 days without showering (will post about that..) and not a whiff. I just found your blog and am learning alot! Thanks for all the great info! I love this post especially! I was just wondering what kind of makeup you use? Are you careful with those products also? Thanks for all your helpful information! I actually don't use makeup very often so I'm not too concerned about it. I use mascara and eye makeup maybe once a month, and face powder at most once a week. I get the Bare Minerals face powder from Sephora which doesn't seem to irritate my face or cause any breakouts. If you're using makeup everyday, I would be concerned enough to look for the least toxic choices. Fabulous roundup. I am a huge fan of baking soda for scouring and coconut oil for the eye makeup, too – I still can't believe how well it works and that people actually use stuff that (a) stings and (b) they have scrub so hard with!! I sent a new SCD blogger, Denise, from http://freetofeast.wordpress.com/ your way. I hope she found you! I just got to reading this post and do a lot of what you are recommending. Actually, I'm getting ready to do a series of post about some of my frugal and homemade ways of life. For a makeup alternative, may I suggest you check out miessence? Yes, I'm a rep but not until I couldn't find anything else quite as nice. I really like the mineral powder, shimmer cremes for a quick, natural eye color. The mascara is awesome and I've experimented with other "safe" ones that are mostly watered based – no comparison. Just wanted to share. http://www.brumgard.miessence.com Worth every penny too, IMHO. I'll be sharing what I can't live without and what I can in the line. Thanks Michelle for the makeup recommendations. I don't wear makeup very often so I haven't bothered to look into it. Though lately with my skin breaking out I have been wanting something to cover it. How can I figure out what color face powder to get from an online source? My complexion is very pale and it's often hard to match. I currently have Bare Essentials mineral powder, is that similar to Miessence? I look forward to your post! Can you share how you clean dishes? @Katie I use 7th Generation products for dishes. I usually buy the unscented liquid soap and dishwasher detergent. They’re worth the price in my opinion! I use baking soda and raw honey mixed together to scrub my face and it seems to work on my breakouts! Then coconut oil as a moisturizer. I like the helpful info you provide on your articles. I will bookmark your blog and check once more right here regularly.